The last ever `Morgan' Dollar & the first ever High Relief `Peace' Dollar presented together in one set. The Morgan Dollar and the Peace Dollar are two of the most significant silver coins of the United States of America. Now they are available together in one limited edition set. No coin reflects America's Western Frontier history better than the silver Morgan Dollar, it was the original currency of the `Wild West' nicknamed the `king' of American coins. First minted in 1878, the final Morgan dollar was issued in 1921. 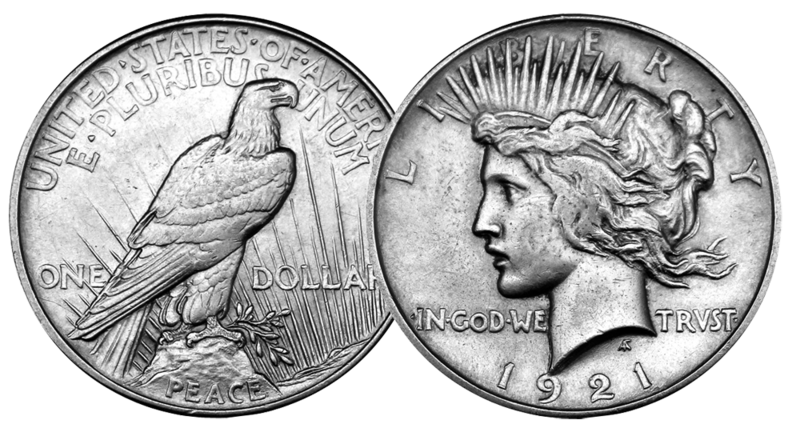 In 1921 a new dollar design was called for - one that symbolised `Peace' after World War I. Eight of America’s most famous artists were invited to submit ideas for the design. Anthony de Francisci created the winning design with an image of Liberty modelled on his wife Teresa on the obverse. On the reverse is a bald eagle holding an olive branch and sitting on a mountaintop in the sunrise, symbolising a new day in world history. The word ‘peace’ is visible on the rocks beneath the eagle. What makes this first issue Peace Dollar exceptional is that it was minted in high relief. A finish which proved too difficult and costly to mint, so the relief on later issues was much shallower, making this first issue a unique 'one year type'. Peace dollars were minted continually from 1921 to 1928 and again in 1934 and 1935, and it became the last American silver dollar minted for circulation. 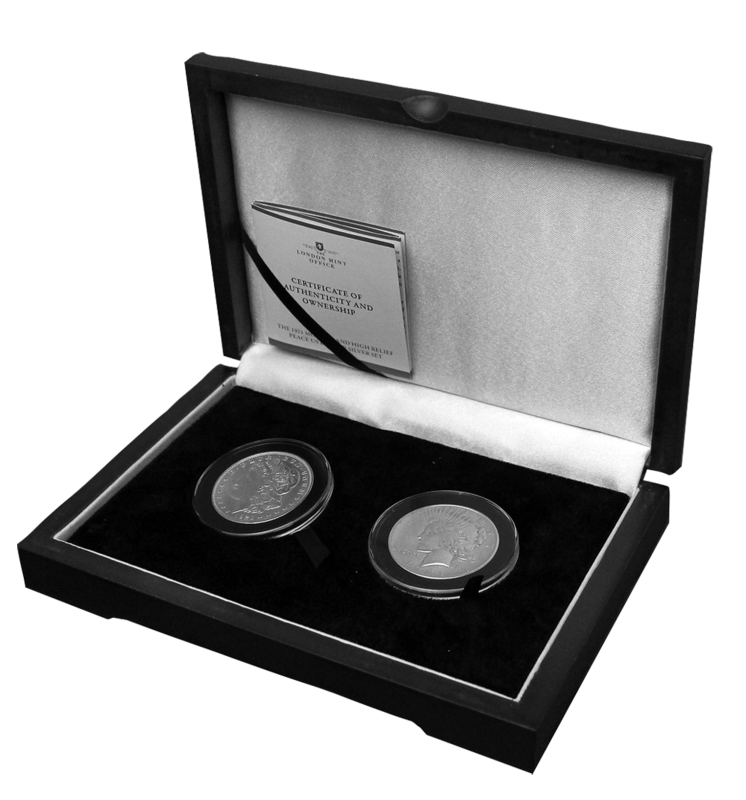 Today each of these very rare coins, the very last and very first minted in 1921 are available together in one set.